Legends of Irish music and song, The Fureys return to The Apex. A Fureys concert is always a night to remember. 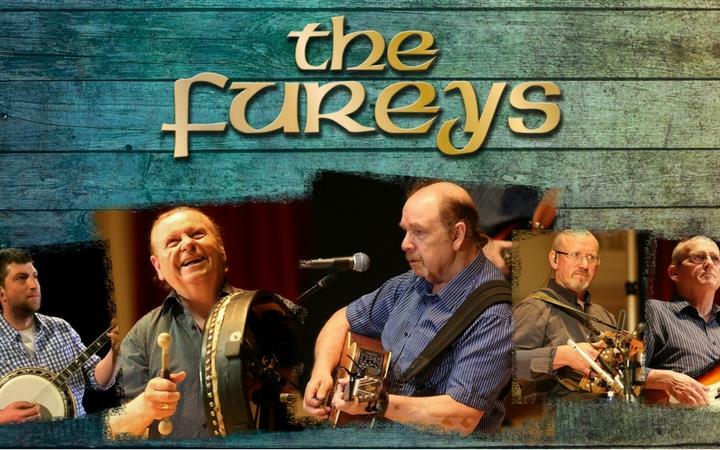 The Fureys have been entertaining audiences worldwide for 41 years, audiences that have included former Australian Prime Minister John Howard, Former Irish President Mary McAleese and the late Pope, John Paul, while Tony Blair has publicly stated his favourite peace song of all time is the Fureys' 'Green Fields of France' and President Michael D Higgins attended their last concert in National Concert Hall. The band was formed in 1978, literally by accident. George, Paul and Davey were playing in Denmark with their own band called The Buskers, and while touring in Germany, Eddie and Finbar were involved in a road accident. When George and Paul got news of the accident they immediately travelled to Germany to be with their brothers. They then decided that they should all be playing together and this was the start of The Fureys. The Fureys are responsible for some of the most stirring music ever to capture the public imagination. Their folk-based music has received standing ovations in some of the biggest concert halls of the world. For more about the band, visit their website.